I think it's been a while since I offered ACEO prints. 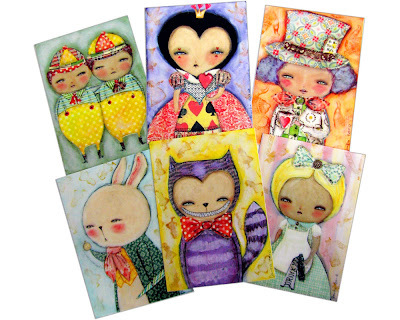 For the ones who are not familiar with them, they're standar size (2.5 x 3.5 inches) cards that you can collect and trade. 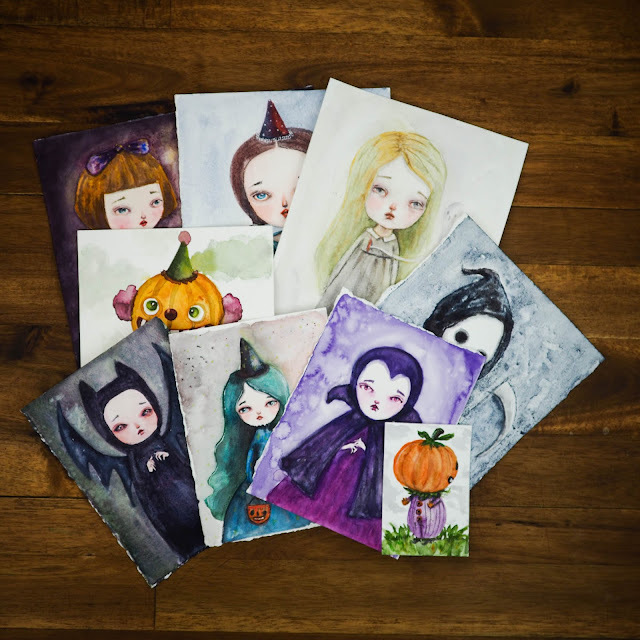 They're very affordable and they're a great way to start collecting art. They are printed full bleed in the same paper and with the same quality as all my full sized prints. This time I thought it would be so much fun to make sets of some of your favorites... so here you go:. The first one is Alice in Wonderland and it includes: "Tweedle Dee and Tweedle Dum", "The Queen of Hearts", "Mad Hatter", "White Rabbit", "Cheshire Cat" and "Drink Me". 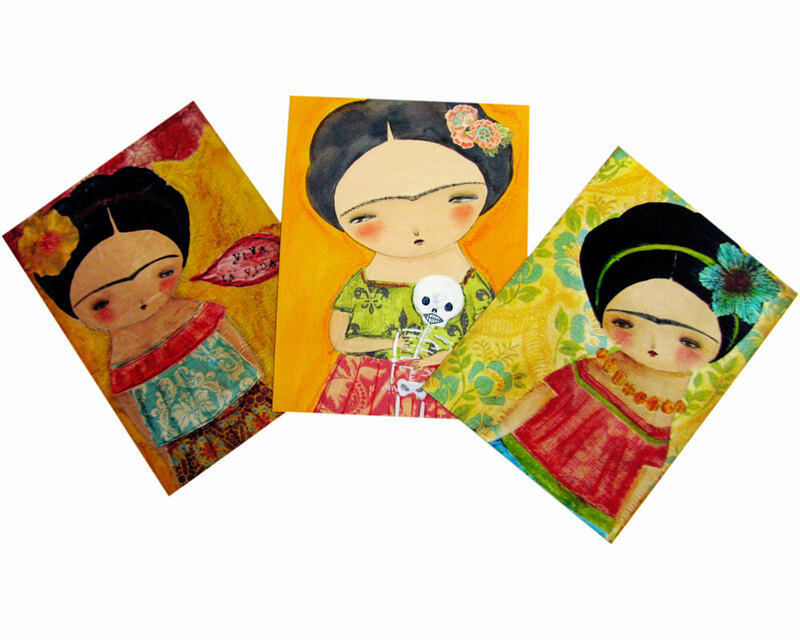 The second one is The Frida Set. It includes "Viva la Vida", "Frida with blue flower" and " Frida y su Calaverita". They're titled and signed on the back and are available in my shop. These are really gorgeous and beautiful! Have a lovely merry happy day and love to you! Your ATC's are so adorable! I love them! Great idea. I wish they were in a digital collage sheet form. That would be another great idea! I'd be the first one in line to purchased them!